In the interview, Reid said he wishes former President George W. Bush were president again “every day,” even though Reid “famously called the 43rd president a ‘loser,’ and a ‘liar,’ and even the worst president the country ever had,” CNN’s Dana Bash wrote. Reid also called Trump a “con man” and a “big fat guy,” according to CNN. The 79-year-old gave the interview after announcing he was in remission following a pancreatic cancer diagnosis in 2018. Reid was one of the longest-serving floor leaders in history after serving as Senate Democratic leader from 2005 to 2017. During his tenure, the Nevada Democrat faced criticism from the left for compromising with the right on the Iraq War and criticism from the right for his connections to power brokers like Harvey Whittemore. 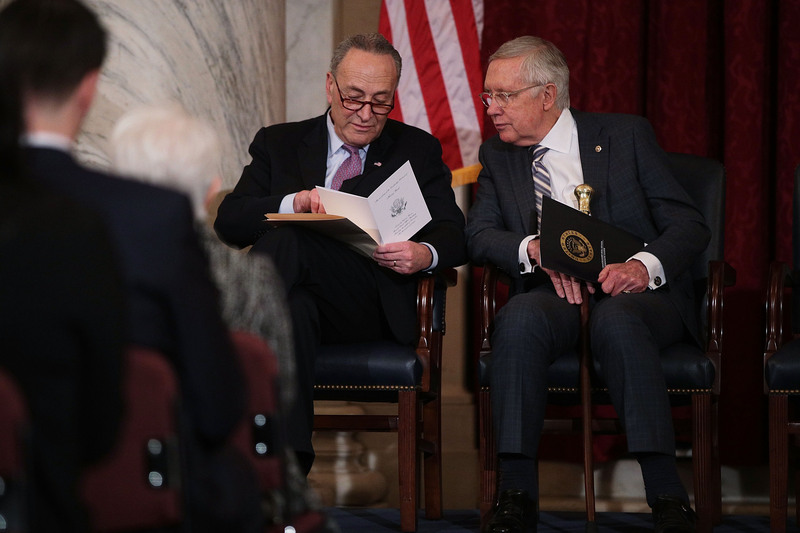 Even though Reid left the Senate when Trump first became president, the two have tangled politically since Trump’s inauguration in 2017. Trump mocked Reid’s support of an end to birthright citizenship for illegal immigrants by highlighting one of his past speeches in October 2018. Reid has a history of criticizing Trump, but he also hasn’t pulled punches on members of his own party. Reid criticized his party’s rising star New York Rep. Alexandria Ocasio-Cortez in January over her “radical” proposals.